Hostmysite.com :: How do I use SmarterMail Sync? How do I use SmarterMail Sync? 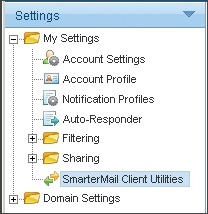 The following article explains how to use SmarterMail Sync. 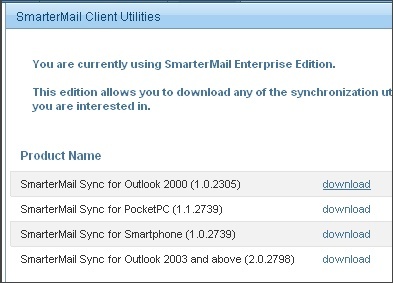 SmarterMail Sync can be used to sync contacts, calendar items and tasks with Microsoft Outlook and/or Pocket PC. The SmarterMail Sync software must first be downloaded from SmarterMail and then installed on your local machine. Once the software is installed, you will need to configure your account. The following instructions pertain to Microsoft Outlook. From the top menu bar, click Settings. From the left side bar, expand My Settings and click SmarterMail Client Utilities. 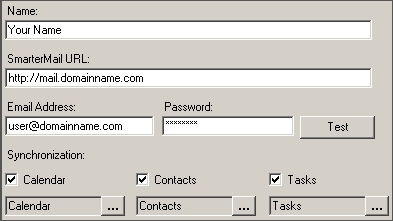 Click download for SmarterMail Sync for Outlook 2000. Select a location to download the file and click OK.
Once the download completes, navigate to the download location and double click the install file to begin the installation. Accept the terms in the license agreement and click Next. Click Finish once the installation completes. 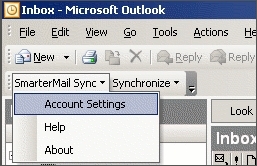 In Outlook, expand SmarterMail Sync and click Account Settings. 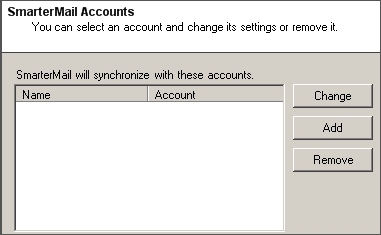 Expand Synchronize and click the account you just created. Instructions for configuring SmarterMail Synch for Pocket PC can be found in the readme.txt file included in the download file.